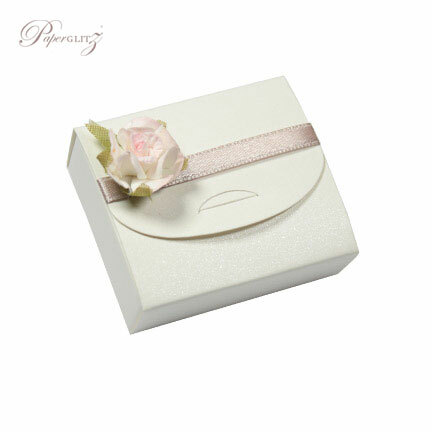 This Purse Box is made from our gorgeous double sided off white / soft ivory / eggshell coloured lovely thick 250gsm (feels like 350gsm) card that contains 15% pure cotton & 20% recycled content! 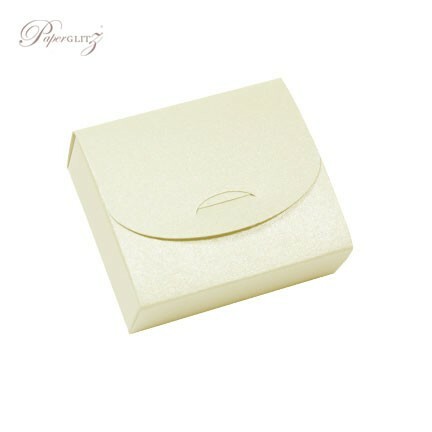 This Purse Box is made in Australia from paper that is manufactured in Italy and is converted and packaged by Paperglitz in Sydney, Australia. Made from a premium range of soft to touch cotton blended papers that is popular for both letterpress printers and wedding stationers.